Google acquired hosted wiki service Jotspot in October 2006. The service immediately stopped taking new users, although existing users were supported. 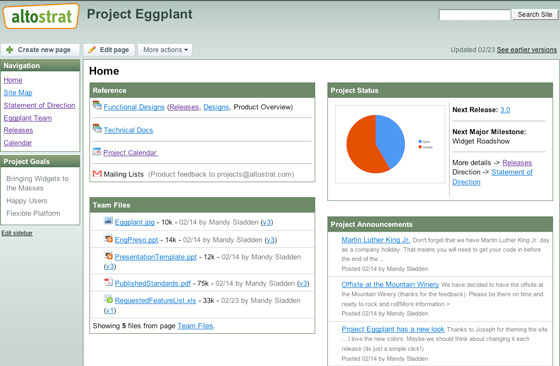 Now, nearly sixteen months later, Jotspot has been relaunched under the Google Apps team, as Google Sites. Like Google Docs, Google Sites wikis can be made private, shared with others, or made public. 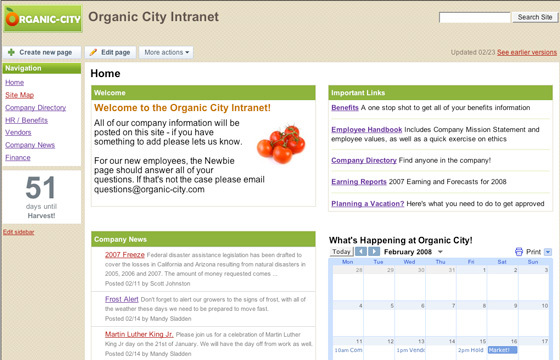 Users can select from a variety of templates, but cannot yet customize the look and feel of the site. Somewhere down the road, Google says, they’ll release an API for the new service as well. Editing is done with a rich text editor that allows for basic formatting. Google Sites is a free product, with limitations on support and storage (10 GB). Users can upgrade their Google Apps account to a standard edition, also free, and map their own domains to the site. A premier edition is also available for $50/user/year that includes a service level agreement, support and more admin capabilities. All wiki pages have RSS feeds associated with them to allow users to track any changes. Existing Jotspot users will continue to be supported on the old platform for the near future, and they will also be given instructions for porting their Jotspot wikis to Google sites. In an interview today, Google’s Management Director of Enterprise Matthew Glotzbach called the combined products under Google Apps a “Microsoft Sharepoint killer” because it’s allowing businesses to collaborate without all that expensive Microsoft software. It may not be a Sharepoint killer yet, but Google Apps constitutes 2-3% of Google’s total revenues. Some point soon, its going to start hurting Microsoft.